Nominal 42 kilowatt, 415 volt, 3 phase, industrial fan heater with switch to21kilowatt and fan only setting for cooling. Safe 'no fume' heating of large workshops and factory areas. Developed to give large heated air volume with up-rated air moving system. Full overheat and fan failure protection devices. uses high specification incolloy elements to give safe reliable operation. 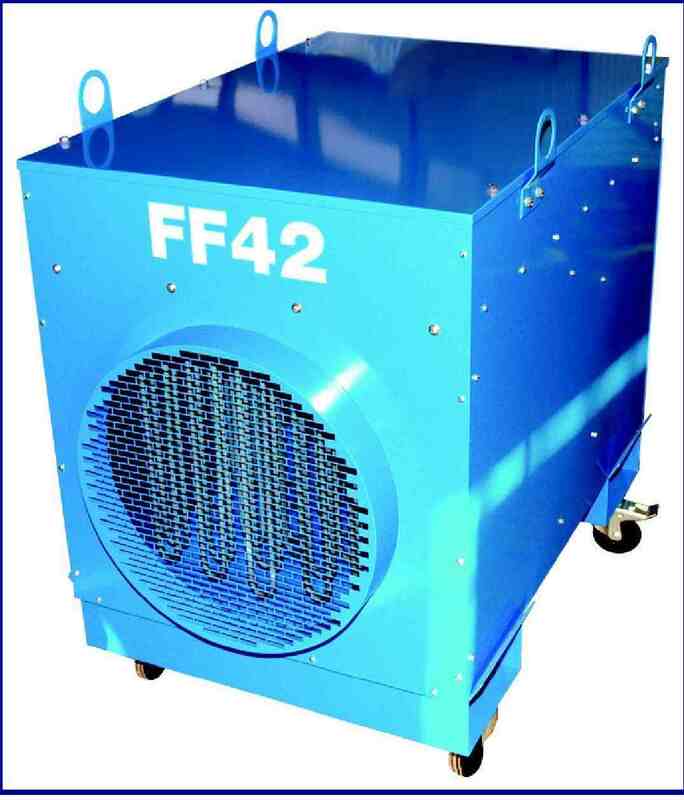 Airflow 4000 cubic metres per hour with pressure generation of 400+ pascals. Powerful alternative to Propane. Massive air pressure allows in excess of 18 metres x 10" flexible ducting to be fitted. Robust construction. Quiet running, rugged all steel design. Dimensions H890 x W460 x D460mm Product Weight 100Kg Heat Output (max) 42Kw Voltage 415 volt, 3 phase, industrial fan heater with switch to 21 kilowatt and fan only setting for cooling.